Most occasions call for a Deluxe Rubber Chicken (sold separately), but sometimes you just need a cheaper alternative. 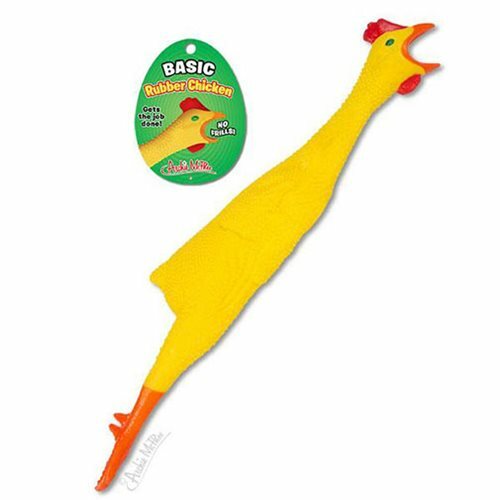 This 20-inch long Basic Rubber Chicken isn't quite up to the standard of our highest quality rubber chicken, but it's perfect for those moments when quantity of funny is more important than quality of funny. The most adequately hilarious rubber chicken in the world. Soft vinyl. Illustrated hang tag.